Directed by Billy Wilder. With Fred MacMurray, Barbara Stanwyck, Edward G. Robinson, and Byron Barr. The Oscar-fêted director Billy Wilder must have loved film plots related to life insurance. We start (and end) our classic Hollywood life insurance flick list with movies directed by Mr. Wilder. 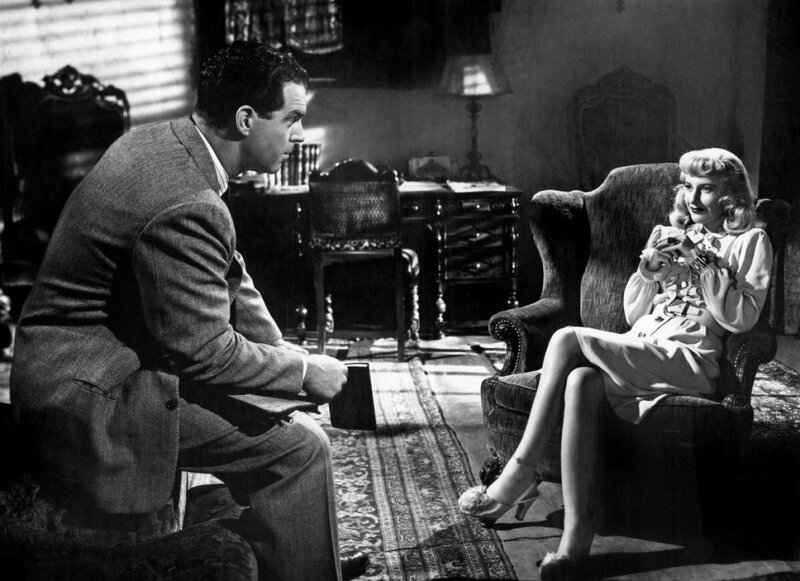 In Double Indemnity, Walter Neff (Fred MacMurray) is a regular joe term life insurance agent with a dark side. Phyllis Dietrichson (Barbara Stanwyck) plays a classy dame who knows her way around term insurance quotes and death benefit clauses. Now look, Walter. A guy takes out an accident policy that’s worth $100,000 if he’s killed on the train. Then, two weeks later, he is killed on the train. And, not from the train accident, mind you, but falling off some silly observation car. You know what the mathematical probability of that is? One out of, oh, I don’t know how many billions. And after that, the broken leg. No, it just, it just can’t be the way it looks. Something has been worked on us! Look Walter, the job I’m talking about takes brains and integrity. It takes more guts than there is in 50 salesmen. It’s the hardest job in the business. Yeah, but it’s still a desk job. I don’t want to be nailed to a desk. Who? Okay, hold on a minute. A claims man is a doctor and a bloodhound and a cop and a judge and a jury and a father confessor all in one. And you want to tell me you’re not interested. You don’t want to work with your brains. All you want to do is work with your finger on the doorbell for a few bucks more a week? Yes, I killed him. I killed him for money—and a woman—and I didn’t get the money and I didn’t get the woman. Yikes! Yes, film fans, life insurance crime doesn’t pay. But, we get the dame part. Barbara Stanwyck is captivating in her role as the blonde who inspires murder. Directed by Tay Garnett. 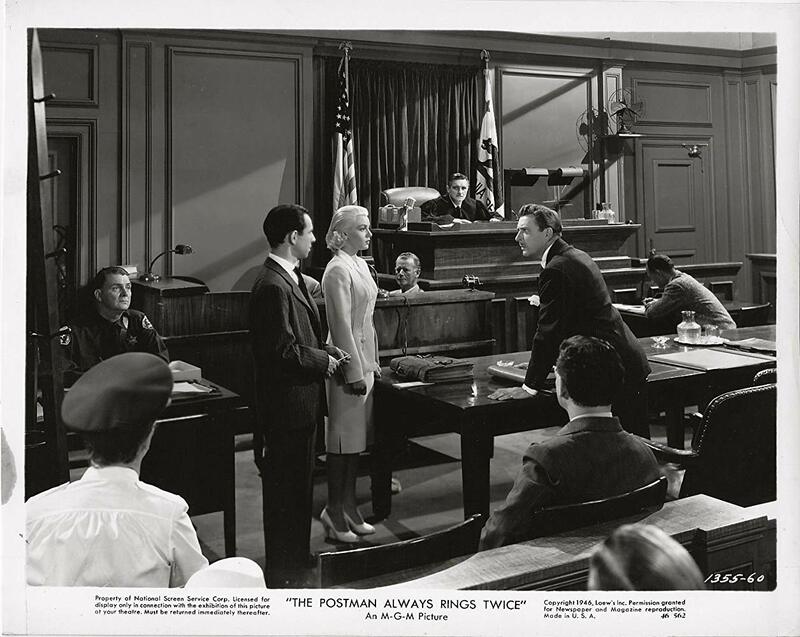 With Lana Turner, John Garfield, Cecil Kellaway. A drifter and the gorgeous wife of a lackluster diner owner fall in love. What do they have in common? An affinity for club sandwiches, good tippers, and cold-blooded murder. All that smoking and drinking in classic Hollywood reels seems quaint and charming—a bygone era when the silver screen’s stars didn’t fear smokers’ wrinkles, weren’t addicted to botox, and clearly had no idea how smoking impacts term life insurance quotes. Cora (Lana Turner) and Frank (John Garfield) did not anticipate their twisted plot scheme to be foiled by Orangey the cat tripping over a wire, and so they neglected to buy insurance for each other, speeding them toward an unhappy ending of a fantastic film-noir movie. Cora and Frank didn’t have a long-term financial plan and relied heavily on the prospect of their ill-gotten gains covering their needs. 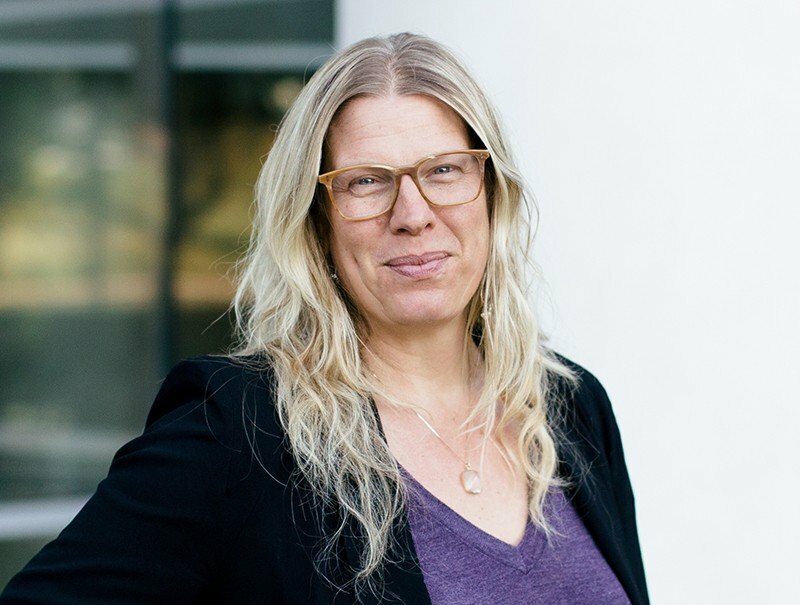 Since none of this panned out, it would have been much smarter to include big ticket, one-time expenses (like legal fees for a murder case) in addition to household costs when calculating their term life insurance needs. When buying term life insurance its important to be aware of the terms of your life insurance policy payout (the main point is to tell your family you own a policy so that they can inform the life insurance company if/when you die), as well as the procedure for updating your beneficiary (if you buy your life insurance policy through Quotacy, we can help you with any future policy services you need as our service to you). If there’s a term, phrase, or something in your term insurance quotes (or policy) that you don’t understand, don’t hesitate to ask. We’ve broken down all the most commonly used terminology and term insurance FAQs for you, but our life insurance advisors are always happy to help you get more clarity, if needed. But, we don’t encourage you, like Frank in The Postman Always Rings Twice, to fall prey to a murderous blonde’s charms, even if she is as gorgeous as Lana Turner, and her husband is insured by a term life insurance policy. Life insurance crime does not pay for film buffs or anyone else. Here is our spoiler-free list of our favorite clips and one-liners from Hollywood classic movies (and one not-so-classic) where life insurance took a starring role. Directed by Harold Ramis. With Bill Murray, Andie Macdowell, and Chris Elliot. Ned. Ned. Ned. Ned. Ned. Life insurance is important—but the last thing you want to do is listen to the same insurance sales pitch over and over. We know you’d prefer to get your term insurance quotes, apply, and get on with your day (who wouldn’t?) and our remedy at Quotacy is our Ned-free instant term life quotes tool. 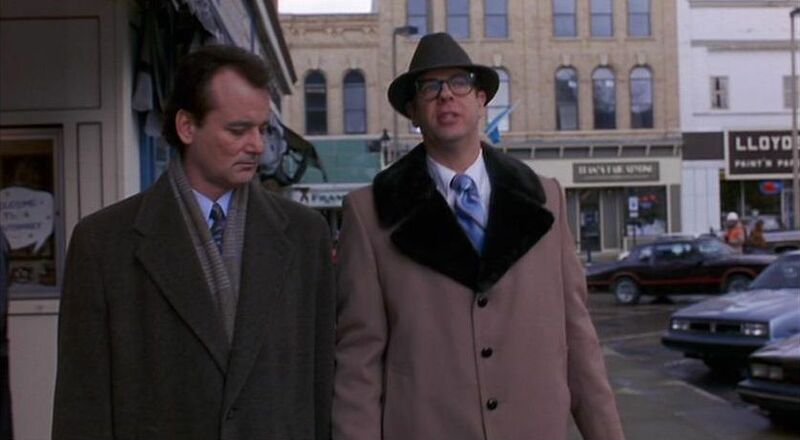 Disclaimer: We’re big fans of actor Stephen Tobolowsky who plays Groundhog Day’s intrepid insurance agent. He nails our industry’s stereotype so perfectly! We call term life insurance love insurance here at Quotacy because it protects your loved ones from the things you can’t predict. If you were stuck in an endless time loop like Bill Murray, you wouldn’t have to worry about your family’s future. But, as death is one glitch in everyone’s time-space continuum, it’s a good idea to plan ahead for the eventual. When looking through your list of priorities, those you love are always at the top. And their futures—not just their immediate needs—are probably at the top of your financial planning list. Look at the upcoming plans (and the financial contributions that will be needed to support them) of your loved ones—like college tuition or the purchase of a first home—when fitting term life insurance into your long-term financial plans. Well, if we’re talking term life insurance and movies, we better include Term Life…because it’s called, well, Term Life. Directed by Peter Billingsley. With Vince Vaughn and Hailee Steinfeld. Vince Vaughn plays Nick, a hired gun (who desperately needs to quickly find great term insurance quotes) and wants to stay alive just long enough for his life insurance policy to kick into effect. This delinquent dad knows he’s a marked man, so his motive for buying life insurance is to provide money for his daughter after his inevitable demise. The film received roundly negative reviews, and we can’t figure out how a hitman with a dangerous job got his policy through life insurance underwriting. But, that’s Hollywood! 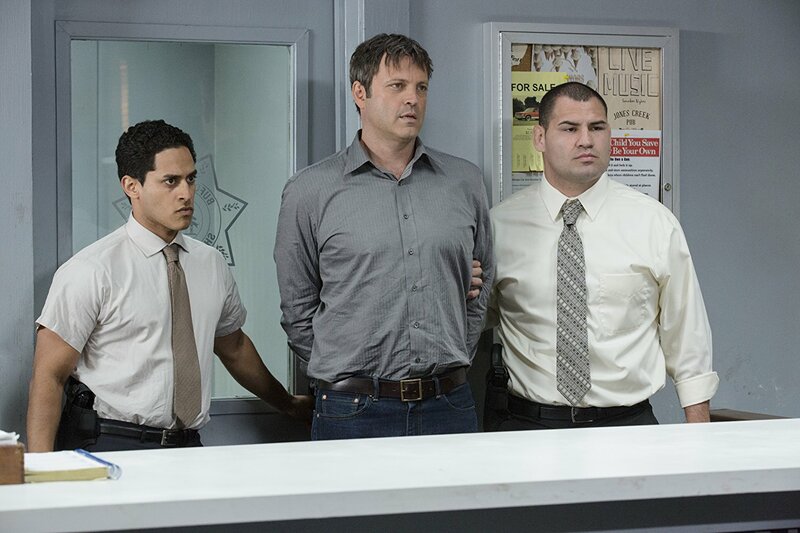 Term Life earned only 1% of its $16 million budget back and closed after a week. Clearly, the director could have used some better life insurance industry insiders (wink, wink, nudge, nudge) to help craft a captivating neo-noir script. We’re all game to assist when Hollywood decides to film the sequel, Whole Life. Directed by Billy Wilder. With Jack Lemmon, Shirley MaClaine, and Fred MacMurray. 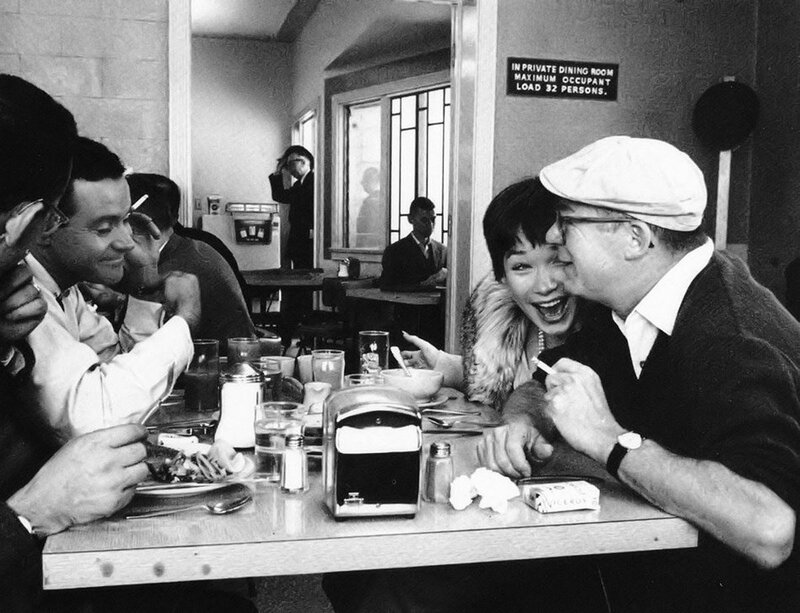 The Apartment won Best Picture at the Academy Awards, as well as, Best Director for Billy Wilder and Best Original Screenplay. An aside: it’s also one of Cameron Crowe’s five favorite films. I’m with Cameron on Quadrophenia and The Royal Tenenbaums, too. Great flicks. Will have to watch La Régle du Jeu by Jean Renoir soon as Mr. Crowe and I seem to share a short list of cinematic faves. Back to The Apartment: C.C. Baxter (Jack Lemmon) spends his days sorting through term insurance quotes (on paper—this was 1960) but he dreams of moving up at Consolidated Life, a blue chip insurance company. Hoping to gain the favor of his superiors, he turns his apartment into a party house for top execs’ after office hours love affairs, hoping they will thank him with a promotion. As expected…nothing goes as expected…but Baxter ends up with a happy ending and probably some excellent term life insurance rates. Which we’d say is a win-win. Really? I was reading some figures from the Sickness and Accident Claims Division. You know that the average New Yorker between the ages of twenty and fifty has two-and-a-half colds a year? That makes me feel just terrible. Well, to make the figures come out even, if I have no colds a year, some poor slob must have five colds a year. [playing cards] I love you, Miss Kubelik…Did you hear what I said, Miss Kubelik? I absolutely adore you. [smiling] Shut up and deal! At Quotacy, we’re with Fran. If you’re looking for a term life insurance policy, we know you want to skip the sales pitch and just get what you came for as quickly as possible. Get your term insurance quotes right now—without any Ned-esque sales pressure at Quotacy—and enjoy your Hollywood flicks. If you know of any other films where life insurance plays a starring role, leave me a note in the comments. I’d be happy to hear from all you, Hollywood cinéphiles, out there.